Spread the WORD- Ascension NOW! Ascension NOW! 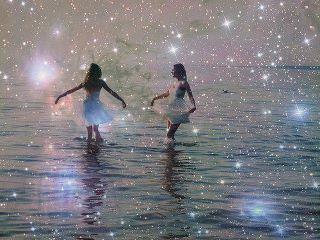 is an inner movement in consciousness. A tidal wave of Oneness. Ascension NOW! is a Flame of God. A flame of Ascension right here – right Now! into the Eternal NOW! As we connect with the Movement, Flame, Website, Decrees, Community, Meditations, Teachings and God Flame of Ascension NOW! we find ourselves Ascending MORE and MORE into the Eternal NOW! Being fully Presence. This is our call, and we choose to heed the call. Many are called – and We CHOOSE! Please Spread the Word of Ascension NOW! This means sharing the decrees, Services, inviting inspired Ones, to join us here in the Movement of Ascension NOW! Email, Facebook, Twitter, Blogs, Forums, Posters, Videos, Music, Artistic Creations, Being, Light, Love, Joy, Peace, Wisdom – allow your Christ Self to guide you to sharing the Flame and Movement of Ascension NOW! This is a Fire of God that is calling us Right here Right NOW! to Ascend higher. Every man, woman and child on this planet is going through an Ascension process. More Light is coming into our World. We are the carriers of this Light. You are the carrier of this Light. As we share the Light in Unconditional Love, cups of Christ Light to our brothers and sisters, children of God, souls of Light throughout the planet – we find All of Life is Raised higher. Higher in consciousness, higher in Freedom, higher in Knowing, higher in Being, higher in Oneness, higher in MORE ~ and yet there is only Oneness. The great enigma of Life is the great enigma of Being. Being the Christ, Being the Light of the World, Being the Living Word! This is our Calling. Allow the Living Word to Flow through you in whatever Way you are inspired right Now today. Just for today, eternally NOW! Let’s co-create this movement of Light ! Ascension NOW! Making the Calls is the Master Key to growing this Movement. Angels of Unity, Blue Flame Legions of Archangel Michael, Billions of Cosmic Light Beings and Angels are here NOW! to assist. And all we need to do is make the Call so they can act. Make this Call NOW! The Decrees are powerful, God Science Consciousness Technologies for you to connect with the 100% Light Realms of the Ascended Hosts and your Christ and I AM Self. As we Join together Heart to Heart on Violet Flame Saturday’s and make these calls the Energy generated is Multiplied Exponentially as each One Joins in the Work. Please join. Please make the Calls. Please Choose the Life of Light, the Light of Life. Please Invite those you are inspired to Invite to Join in the Work. Please Spread the Word of Violet Flame Saturday’s!!! You can do so by inviting your Facebook Friends to the Violet Flame Saturday group, by emailing your contacts with the Violet Flame Saturday Blog Talk Radio Link, and by Sharing from your Heart when you connect with those around you about the Love, Freedom and Power of the Violet Flame and Violet Flame Saturdays! Give the Ascension NOW! 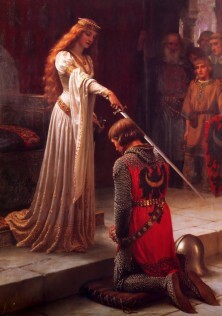 Decrees and help others learn about them and give them as well! These are powerful, beautiful, profound Technologies that are a Great Gift from the very Heart of the Ascended Masters to their children in Creation, Share this Light and we light up the Lives of Many. his site is very much new and will be growing and shifting here this year significantly, All Ways transcending it’s Self – Always in the Flame of Ascension NOW! Share the Site! Share the Light ! Allow others to find this resource that instantly Connects us to Heaven Above within ! Find the Portals to Infinity within as we grow in sharing the Light of the Flame of Ascension NOW! Spread the WORD. Be the WORD. FOTWAY.com is the home of the Way Weekly Ascension Magazine (coming soon..) and a Social Network for Ascension Pioneers and Students of the Light and the Ascended Masters! Come together in Oneness – each with our Unique and Beautiful Crystalline Cups of Light to share in our own Unique and Beautiful Way. Healing. Love. Forgiveness. Community. Coming-into-Unity. Share your highest inspiration, your own journey to Ascension ! This is KEY and Critical! Sharing is Beautiful, sharing will help many. Please SHARE your journey – we provide you with a blog to make that a reality!! Great-attitude~ Great Being – Gratitude. light under the table – shine our Light on the Hill for All to See! You can be anonymous if you prefer to leave these messages. 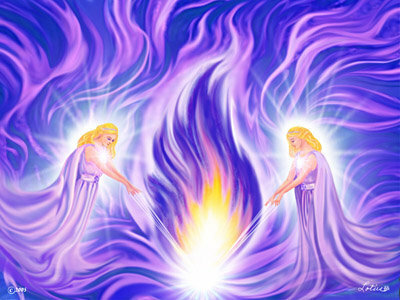 The key we want to have here is the sharing of your personal experiences with the Ascended Masters – you have had some experiences beyond the physical 3d experience – sharing brings MORE and MORE into manifestation the Reality of the Experiences you have had Be-yond Duality and crystallizes MORE and MORE the Flames of God into the World of form. Gratitude for Serving the Light by sharing your experiences in the Light! Be True to your Self. Recognize we are not alone – we are All One. Now is the Time to reconnect with the Body of God Below as we are connected with the Body of God Above. Now is the Time to Be our Self. To take off the masks of separation, ego and duality and put on the Reality of our Christ Self and I AM Presence. Please BE your God Self. Please remember that you are not alone. Never. We are One. We are together as One. We walk as One. We are the Team of Ascension. You are on this Team should you choose to BE. Now is our opportunity to make this Choice: To BE or not to be. Choose Wisely! In Being we are ONE and our Victory is ONE! Tap into the Oneness in your Heart NOW! and never let go – instead – Let God!